With this template, the world is truly your oyster! World brings beautiful animation and a feature-rich environment for your online magazine needs. Make an impression with tasteful and attractive animations, a host of valuable and useful features and great widgets. 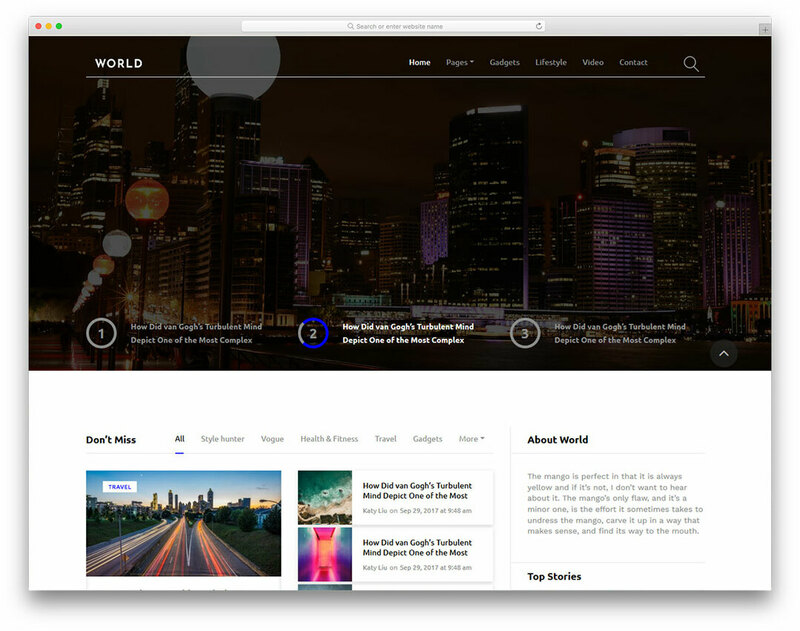 World will provide you with a newsletter subscription box, various sliders, comfortable search bars and a way to pin your posts. Comments, social media support, and a beautiful layout. What more could you need?